This shop has been compensated by Collective Bias, Inc. and its advertiser. All opinions are mine alone. 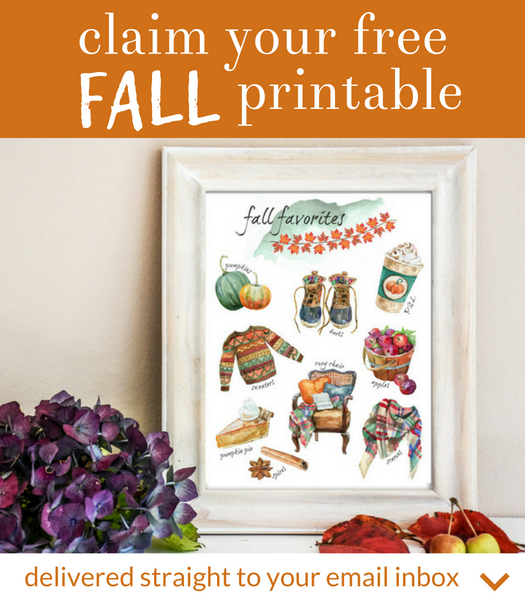 #FallIntoClean #CollectiveBias This post contains some affiliate links. Click here to read my full disclosure policy. 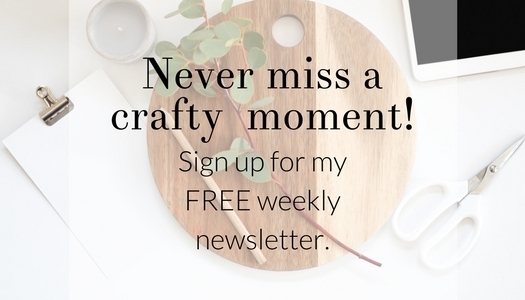 Today I’m sharing this DIY wood shim crate with you all, and hoping you’ll be inspired to get organized for back-to-school and fall routines! I don’t know about you, but I am constantly battling with counter clutter. Things pile up. Soccer schedules, mail to sort, and everything in between can quickly take over. Cleaning your kitchen is so much more difficult when you’re cleaning around piles of paper, right? I do my best to stay on top of the counter clutter. 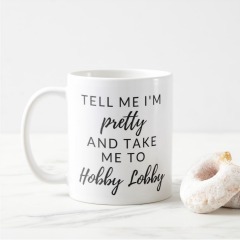 It really should be your top cleaning and organizing priority. Having clear flat surfaces will instantly change the look and feel of your home. Trust me! 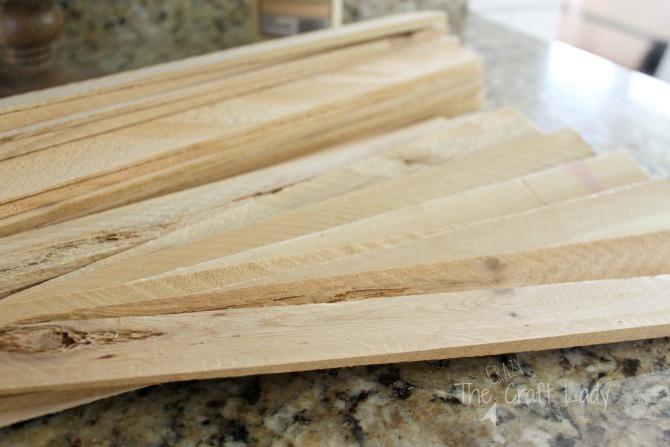 Related: Make a spring wood planter box from wood shims with this easy DIY tutorial. 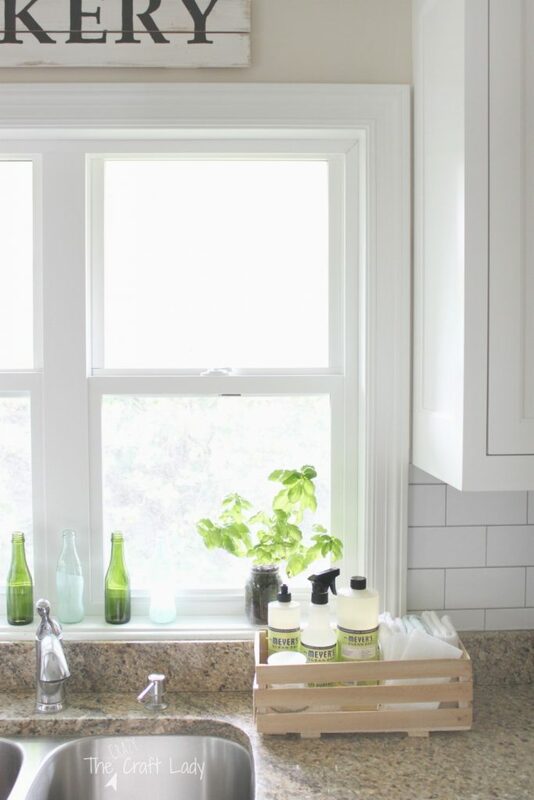 I’m pairing up with the Meyer’s Clean Day® Just Keep Making Campaign to share a quick DIY project to help you get organized and make cleaning your kitchen counters a breeze. The people at Mrs. Meyer’s Clean Day® believe that Home Making is not the end of something messy, but the start of something inspirational. When you have a tidy space, you have room to create and be inspired – whether it’s a new recipe for your family, or a craft project with the kids. I was inspired by the packaging of the Mrs. Meyer’s Clean Day® cleaning products. These bottles are so pretty. They should be displayed, instead of tucked away under the sink. 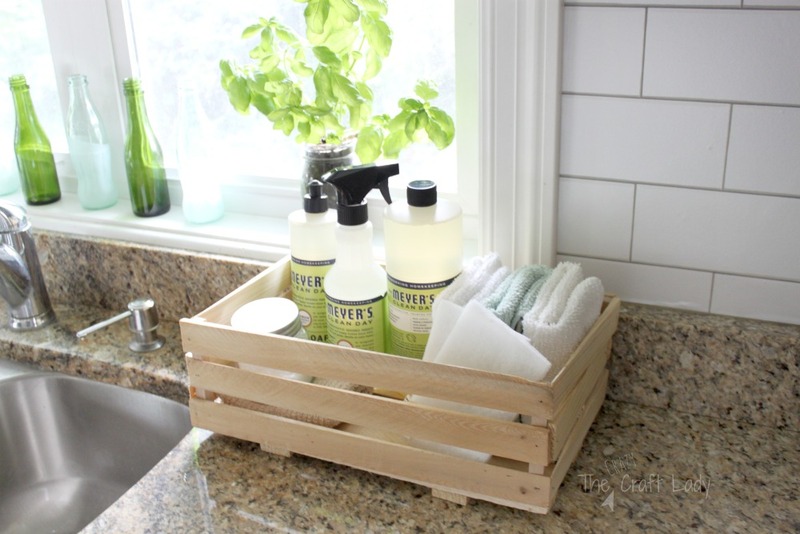 By making this simple wood shim crate, you can display your cleaning products and keep them handy for use anytime. Here’s what you need for this project. Everything you need can be found at your local home improvement store. I spent less than $10 on supplies, making this a great budget-friendly storage solution. Start by making the two “feet” for your crate. 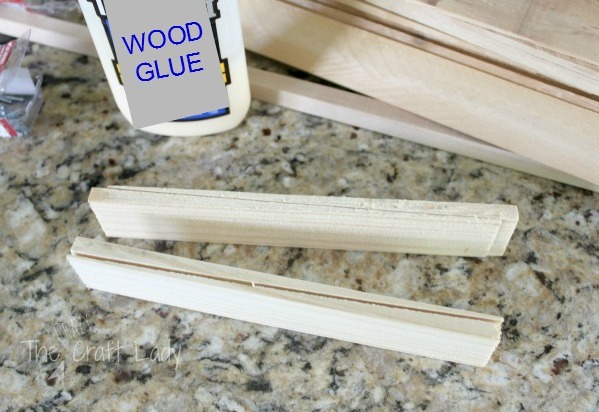 Glue two small wood shims together. Repeat. Clamp together for a few minutes to let the glue set. 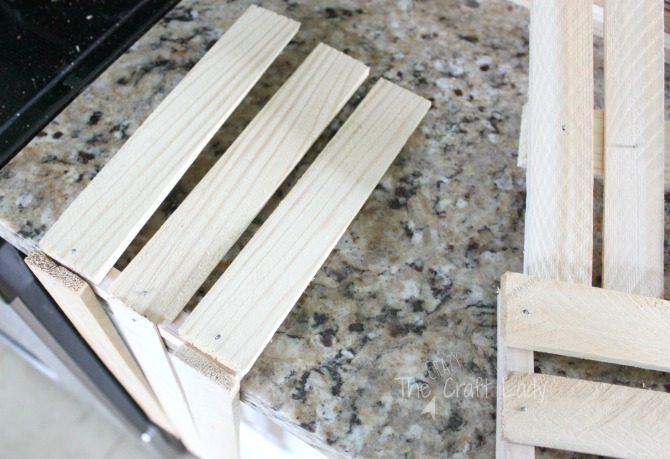 Nail 5 large wood shims to the feet of your crate. This is the bottom of your crate. Assemble one long side. 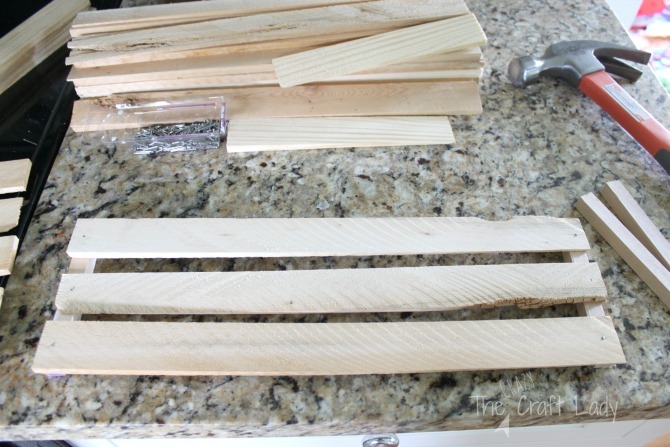 Nail 3 large wood shims to two square dowel pieces. Then add three small wood shims. Repeat the previous two steps. Then nail the sides to the crate base. Too simple! 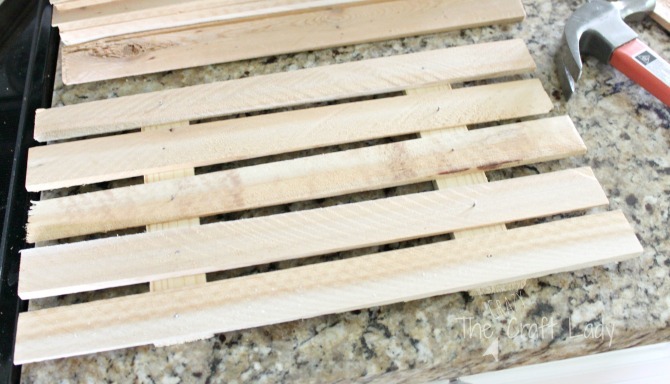 You can stain or paint the wood shims if you like. I recommend doing the painting or staining before you assemble the crate, though. For my wood crate, I opted to keep the wood natural. I think it looks better that way in my kitchen. I love how my new little crate looks on our kitchen counters! 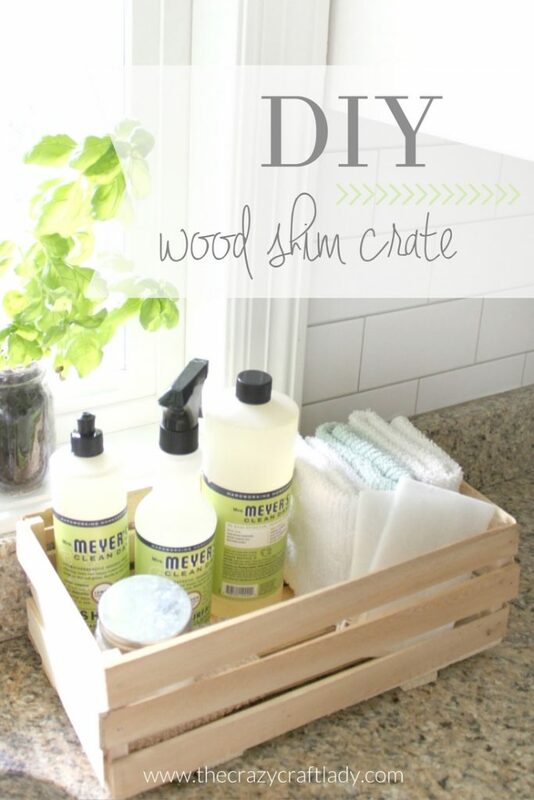 These wood shim crates are so simple and affordable. 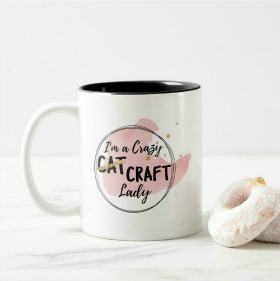 I think I want to make a few more in different sizes for around the house. 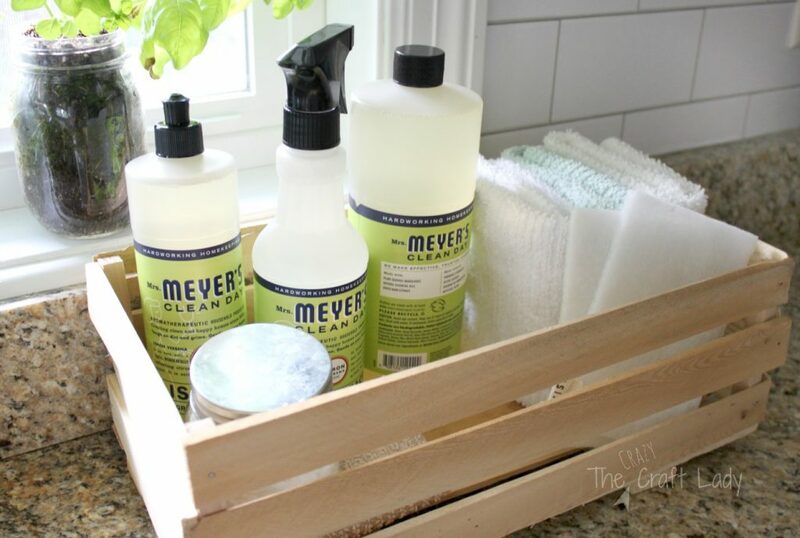 Thanks again to Mrs. Meyer’s Clean Day® for sponsoring this post! Mrs. Meyer’s Clean Day® will donate $1 to Whole Kids Foundation for each of the first 25,000 cleaning products purchased at Whole Foods Market between 8/24/16- 9/13/16 to help kids learn to grow and enjoy eating fruits and vegetables. The offer is valid on all scents of Mrs. Meyer’s Clean Day® Multi-Surface Spray, Dish Soap, Multi-Surface Concentrate, Toilet Bowl Cleaner and Auto Dish Soap. 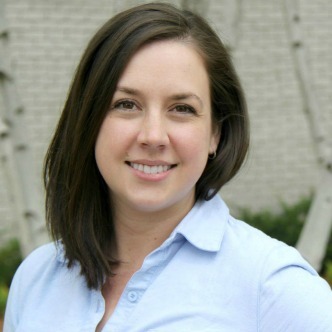 Click here to learn more about Whole Kids Foundation, or watch this quick video. Awesome! 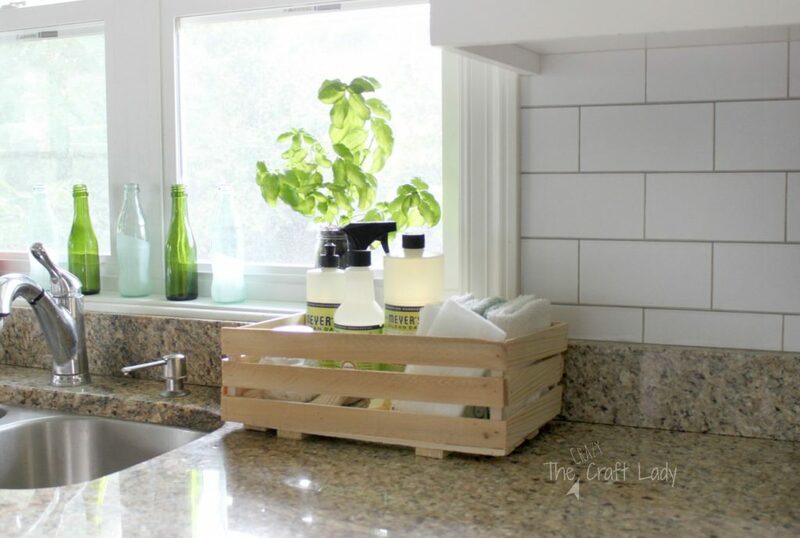 I just this week thought of having a rustic crate similar to this to organize the mess on my kitchen counter!